I had way too many photos of flowers for Jo’s Monday Walk at Overbecks, so I thought a separate post would be a good idea. We can never have too many flowers can we? Friday was the most perfect winter day here and I had an extra day off, so it couldn’t be wasted! 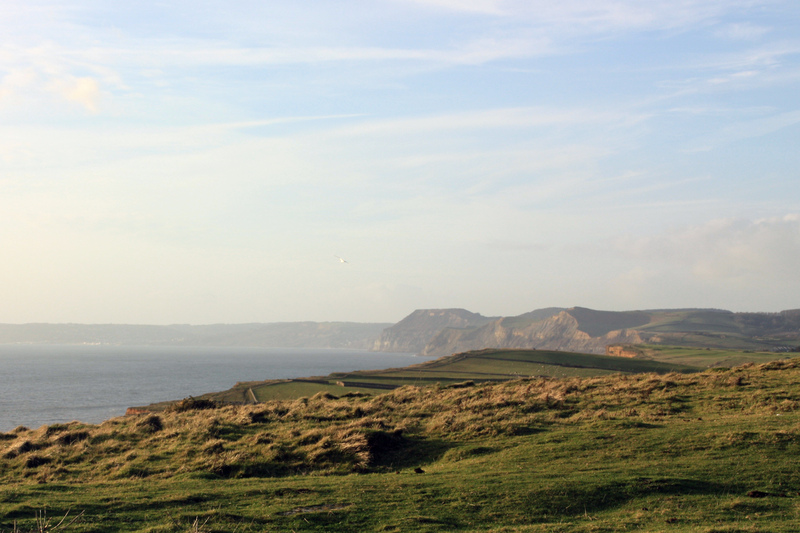 My friend and I set off heading east with a vague idea of perhaps Lyme Regis or Charmouth. Leaving the A30 at Honiton and taking the A35, a winding, up hill and down dale road passing through little villages, Wilmington, Kilmington and Raymonds Hill. 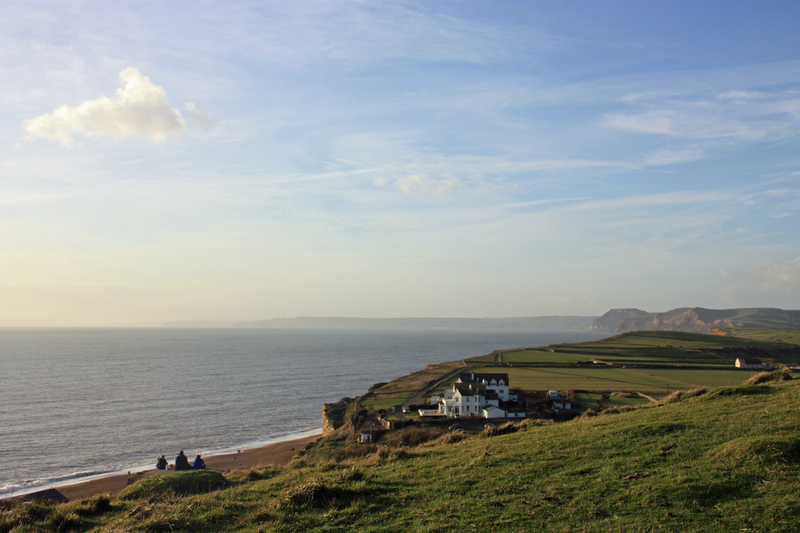 Enjoying the view, high and wide, of east Devon and west Dorset, Golden Cap, a hill and cliff which is the highest on the south coast of England, waiting for me to climb one day. 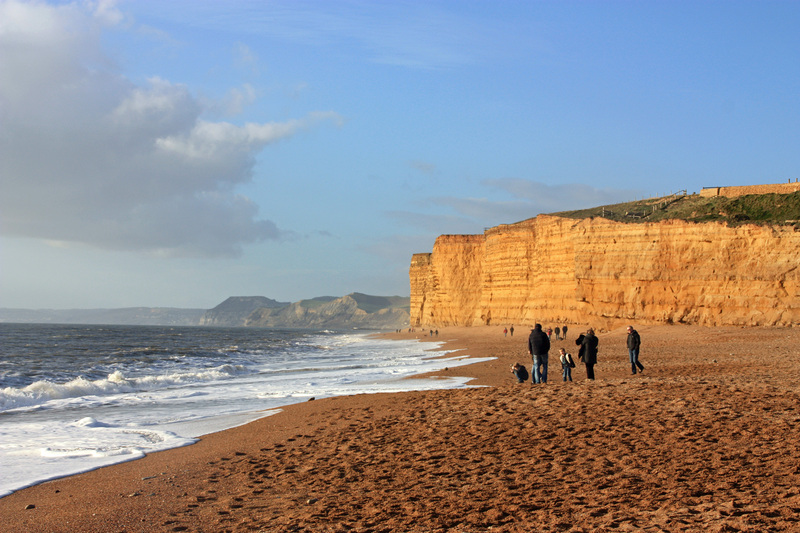 Something took on us past the Charmouth and Lyme turning, towards Burton Bradstock, ten miles further and passing through we stopped instead at Hive beach which has a National Trust car park and access to the South West Coast Path. Hive is a noisy beach, not human noise but nature’s noise, as the waves crash onto the shore and then rush back down the steeply shelved shingle. 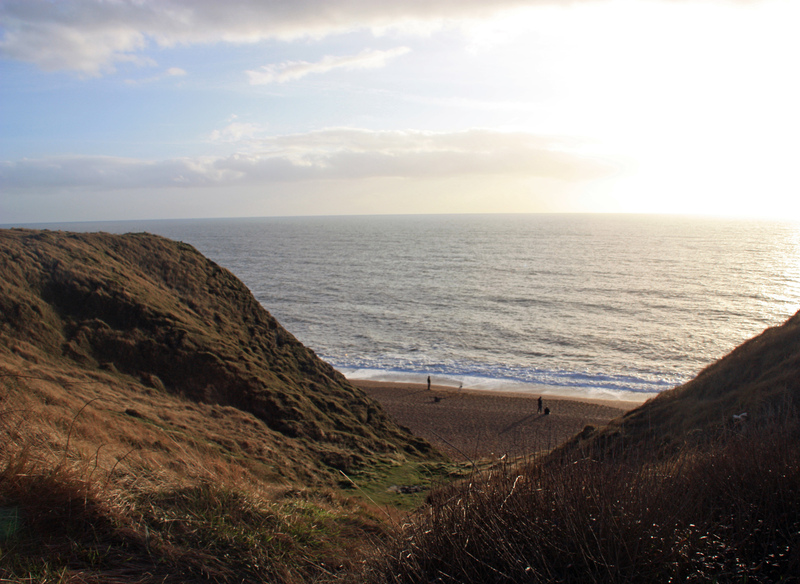 There were quote a few people walking off the seasons excesses on the beach so we thought we would check out the view from the cliff path. We climbed quite high and Lyme Bay opened up. At the highest point we looked north towards Bridport. In the distance stands Colmer Hill, somewhere else I’d like to visit. 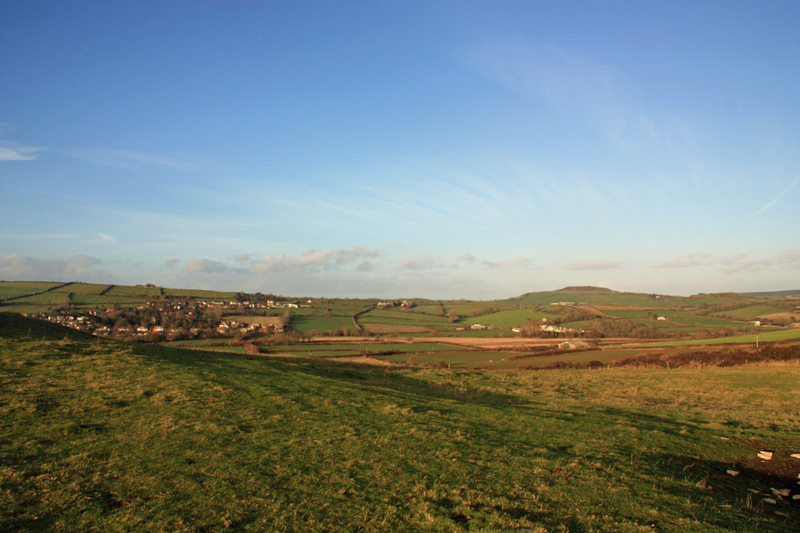 Then we circled around common land on the side of the hill. 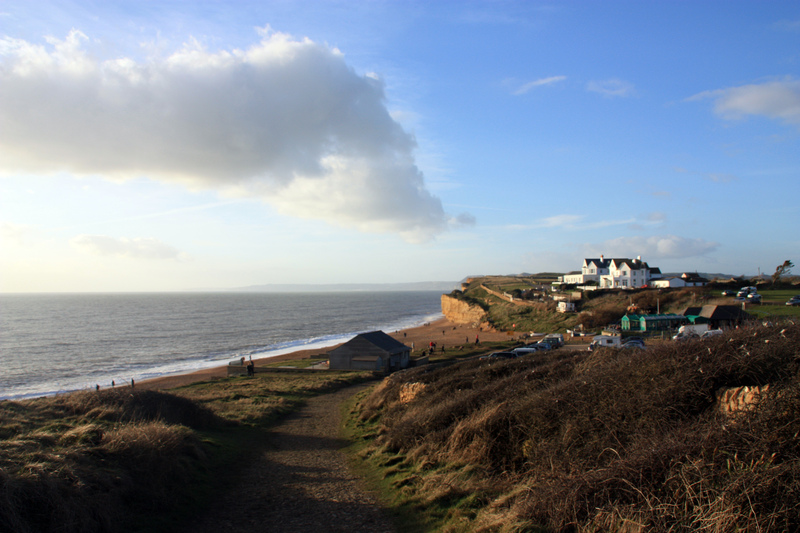 We had already sampled the Hive Beach Café’s coffee, so we set off to find tea and cake, tomorrow I’ll show you where! 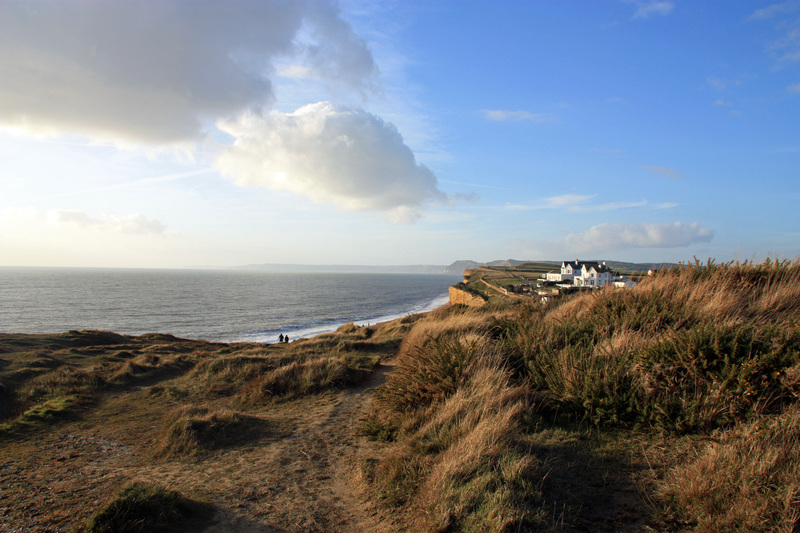 We only had time for a short walk because the daylight was fading fast, but the area deserves some serious hiking, there is so much to see in West Dorset. 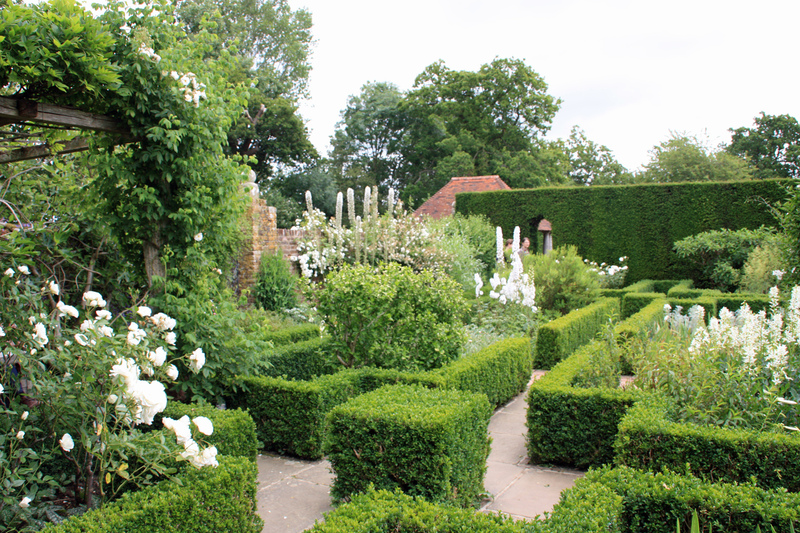 The garden at Sissinghurst, in Kent was created in the 1930’s by Vita Sackville-West and her husband, Harold Nicolson. 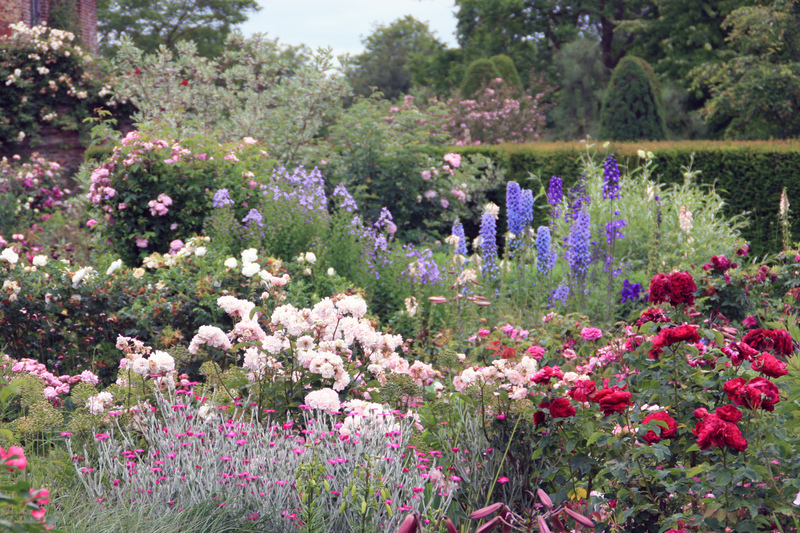 Now a National Trust property, it is looked after by a large team of gardeners and is divided into ‘rooms’, each with a different style, planting scheme colour theme. 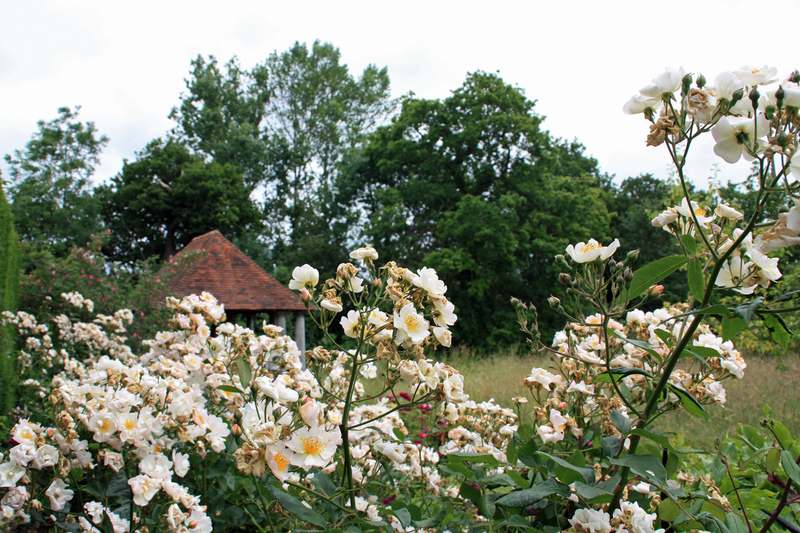 Here are some photos, I have masses of flower shots but for now I’ll show you general views of the garden. The tower, up we go! 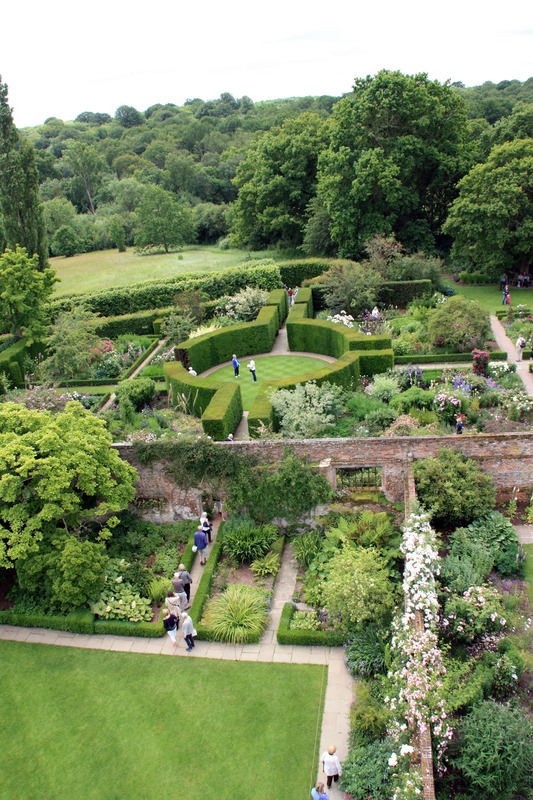 A view of the garden ‘rooms’. 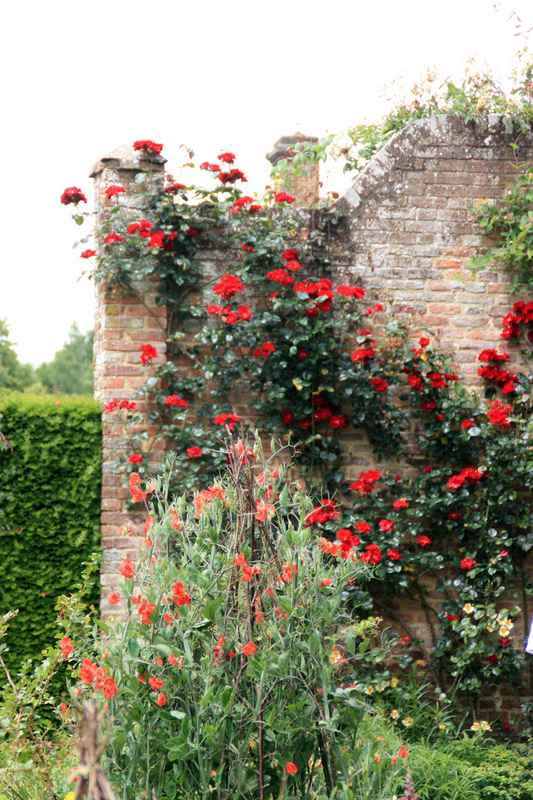 Sissinghurst was beautiful, it totally lived up to my expectations. There were a good few plants I’ve rarely or never seen, and many dark purple flowers which are my favourites. It was the last day of my holiday and I was suffering from garden burn out, they were all running into one, but I hope you like this little glimpse. Cotehele is a Tudor manor house built between 1485 and 1539, high above the banks of the river Tamar in Cornwall. It was owned by the same family- the Edgcumbes,for six hundred years and is one of the best preserved Medieval manors in the country. They rebuilt the original 13th century property, before creating an even grander home a few miles away at Mount Edgcumbe, so Cotehele was little used and hardly changed over the centuries. 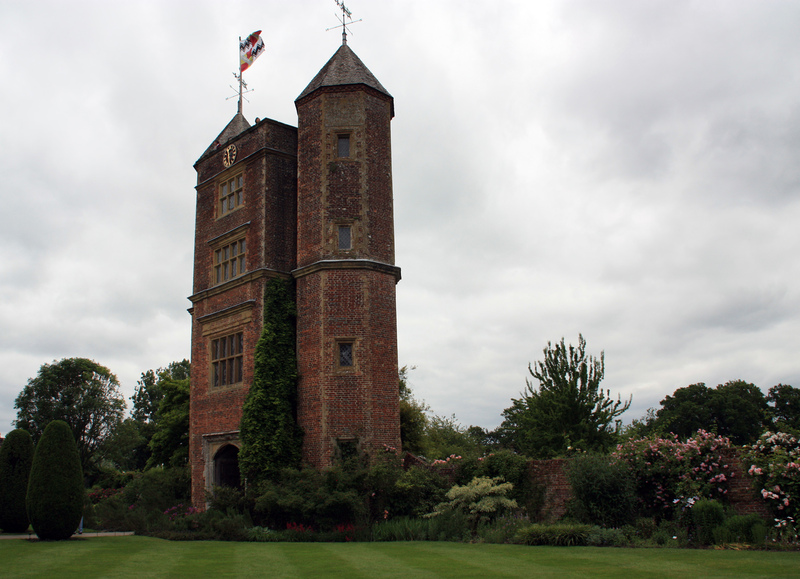 The house became National Trust property in 1947 in lieu of death duty. 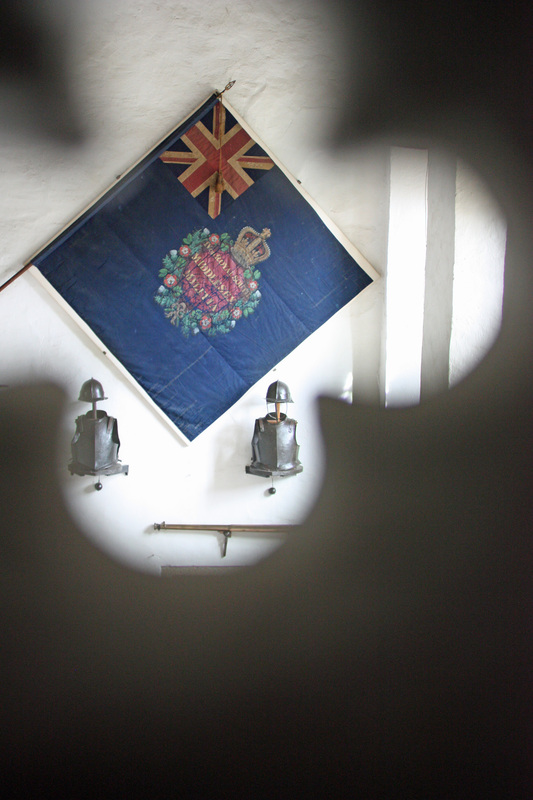 Today I’m showing you some of the armoury to be fond in the Great Hall. And some other items I liked. I’ll be back in a few days with some more photos of the house and garden. I’ve had a really lovely weekend, full of creativity and sunshine. 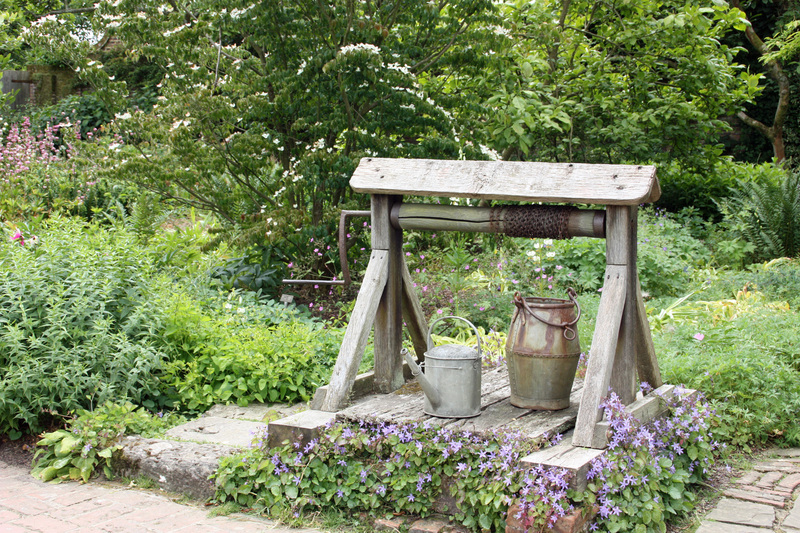 Yesterday I went to a National Trust property just over the border in Kernow – Cornwall. 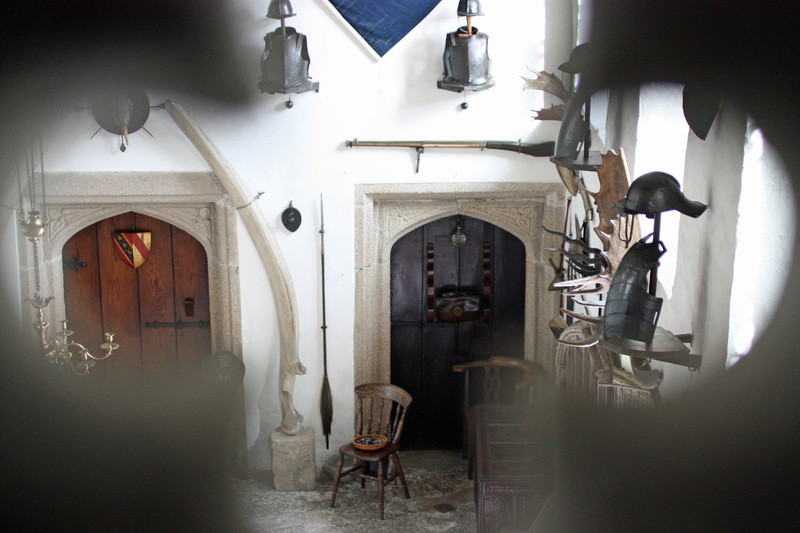 They say that Cotehele probably originated around 1300 but most of the building took place in the late 15th century. I’ll post some more photos later but meanwhile here’s a little squint. 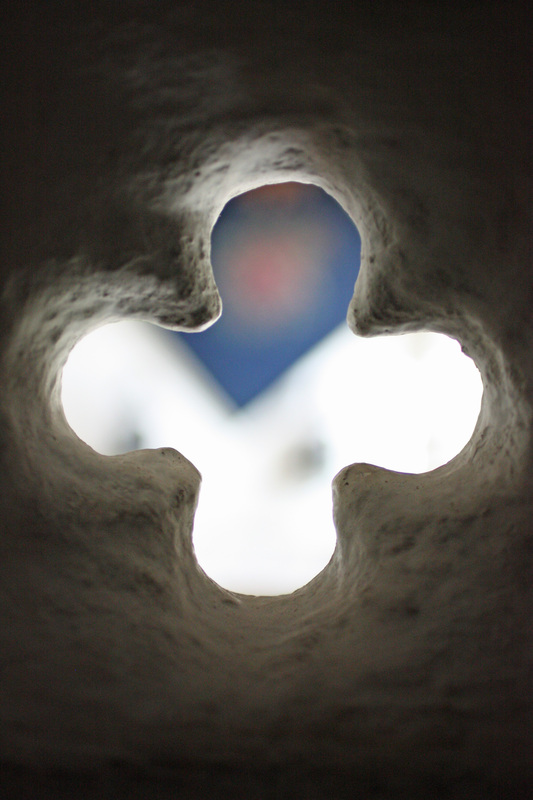 A squint is a small peephole built into a wall, so that that owner could look down on other rooms to check what people were up to, they were often added in mediaeval times. At Cotehele this on looks down on the Great Hall. 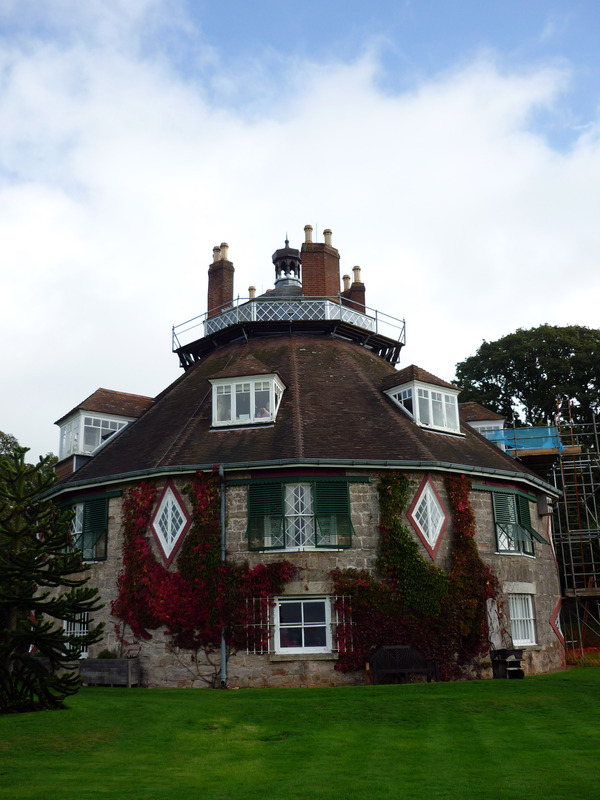 Just a few miles south east of Exeter is the National Trust property, A la Ronde. 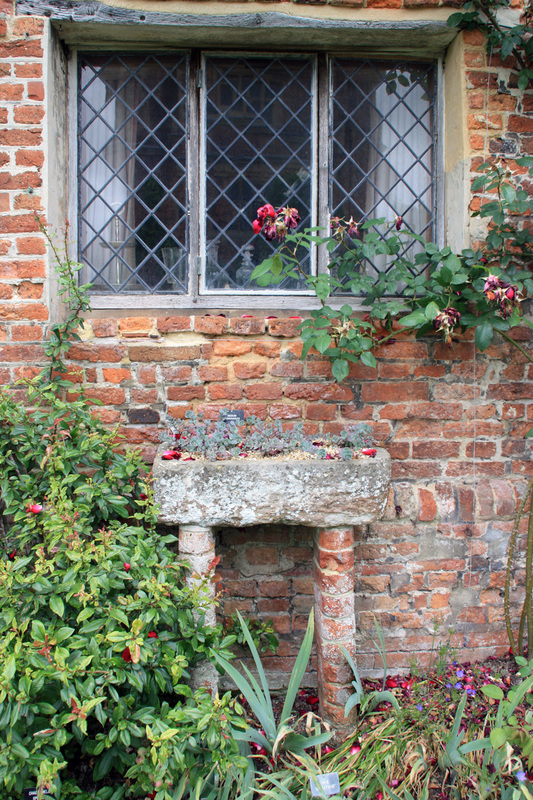 The house was built in the 1790’s by Jane and Mary Parminter. The two ladies , cousins, had a real sprit of adventure, and I’m sure if they were alive today they would be trekking the Sahara or leading expeditions to the polar regions. 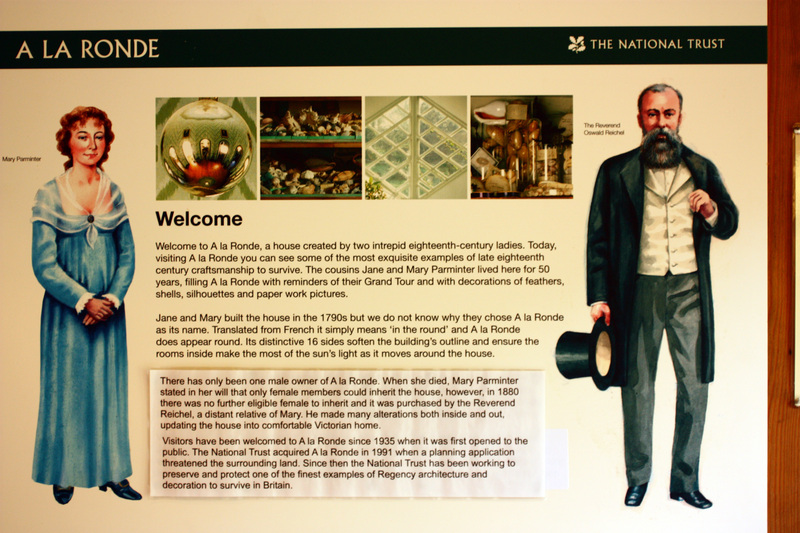 They lived at A la Ronde for fifty years, filling it with things they had collected on their Grand Tour. Although the name implies that the house is round , it actually has sixteen sides, it’s unique design takes advantage of natural light as the sun moves around through the day. 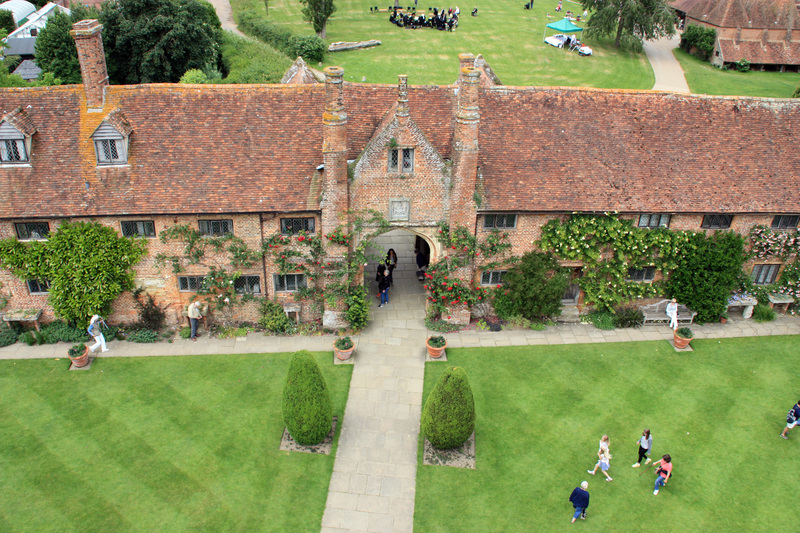 The lower level that you see above is used as the restaurant by the National Trust, the diamond shaped windows are the ground floor. At the centre of the house is an area that rises to the top floor gallery with doors all around it. It’s really difficult to take photos inside, flash is not allowed, and I’m too lazy to use a tripod. 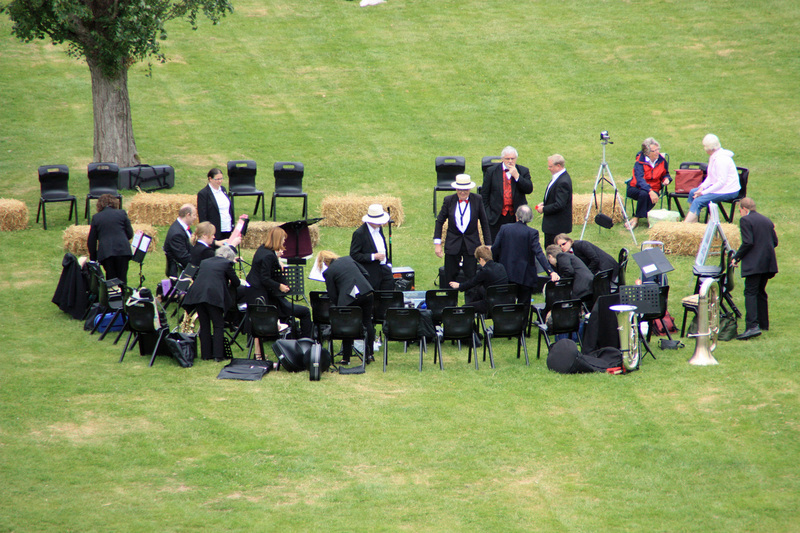 The answer is a very wide angle lens, patience with many other visitors and a steady hand. But here are a few interior shots. 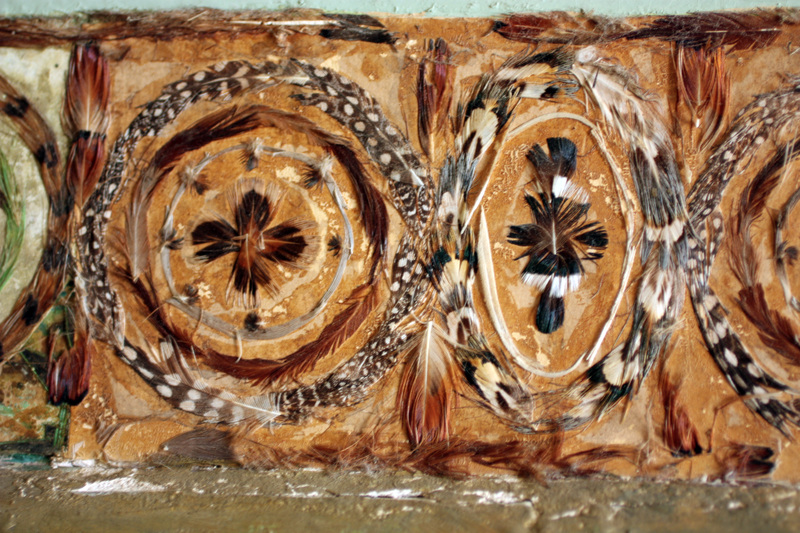 The ladies had several passions that filled their days, embroidery, shells and feathers to name just a few. 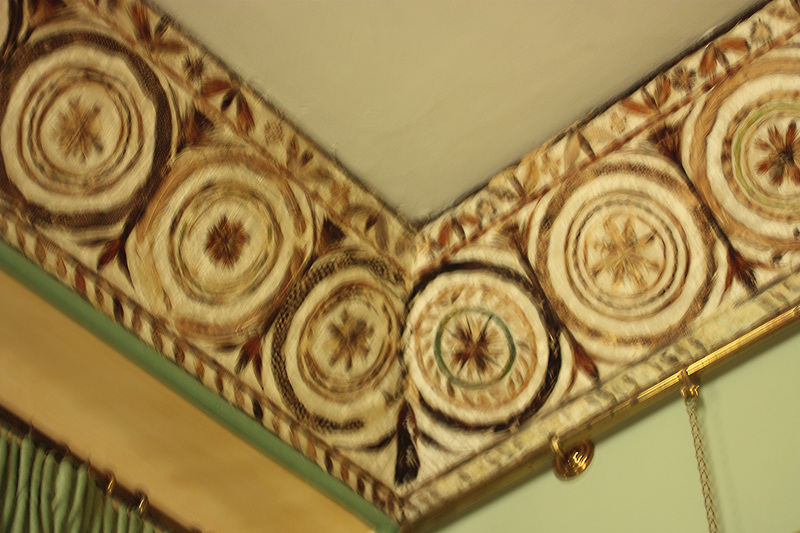 The drawing room has been hand decorated by them with a feather frieze all around the room. The feathers come from chickens, game birds and even parrots and have been applied with isinglass. When I last went to A la Ronde thirty years ago, it was a private group visit and I didn’t really appreciate it. I did get to see the highlight of the house, the famous shell gallery. It’s closed now to preserve it for the future. 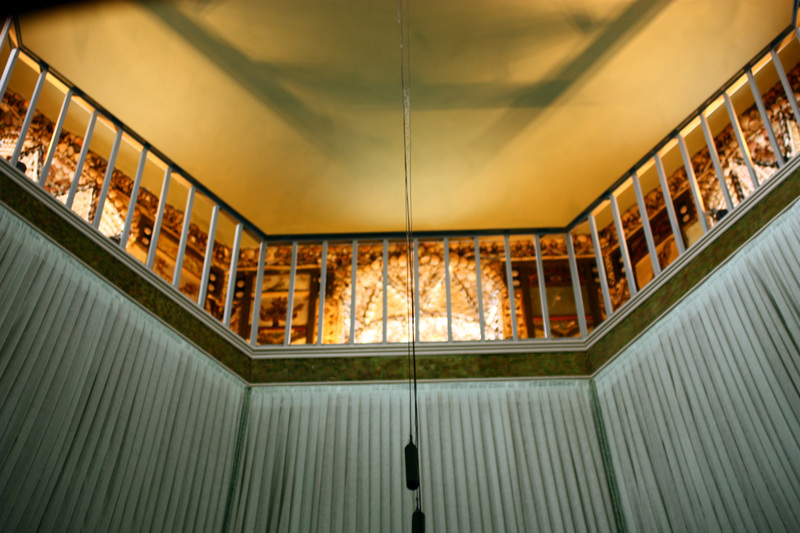 With the help of well placed mirrors, you can get a tiny peep at it from the floor below, and this is my shot from the central room on the ground floor. I asked one of the volunteers if she had been allowed up there and even they aren’t. So the photos below are of photos on display so that visitors can get an idea what it’s like. What is it like? beautiful, bizarre, indescribable. To think that these women spent probably years creating this. 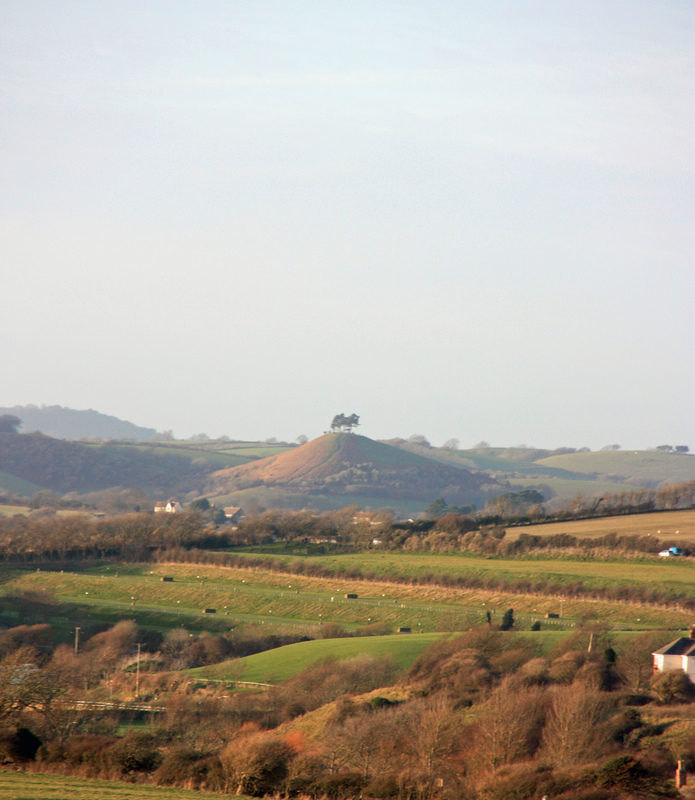 So that’s A la Ronde, maybe one day you’ll visit if you’re in Devon, I promise you it’s like nowhere else anywhere! 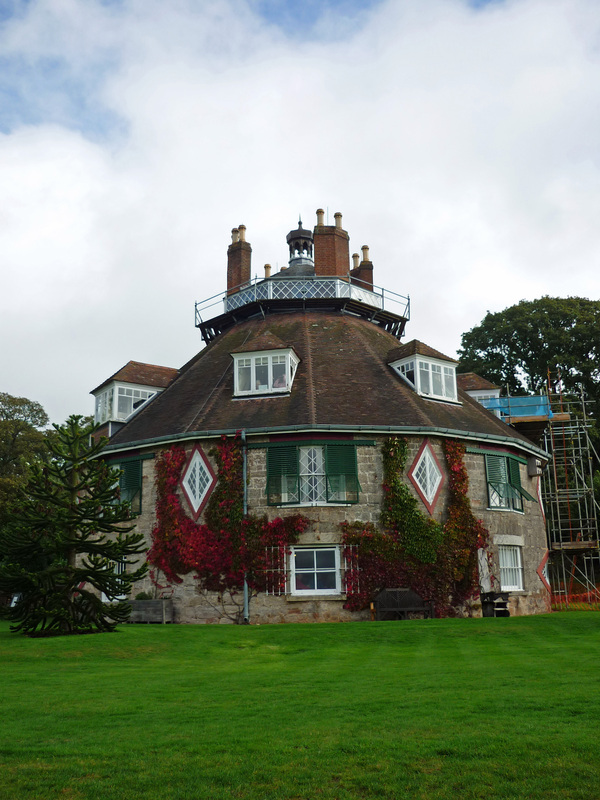 I popped down to A La Ronde, a little National Trust property that overlooks the Exe estuary, a few weeks ago. It was one of those beautiful autumn days that I add to my memory store, to help me throught the winter. 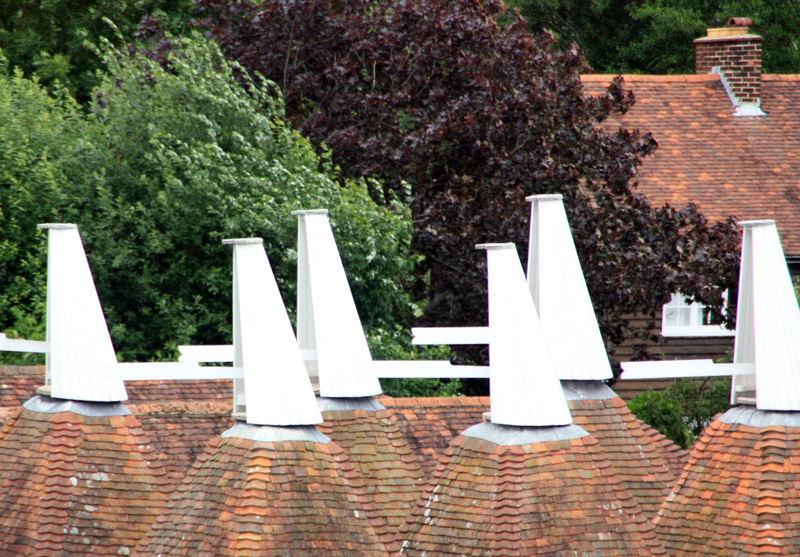 A La Ronde was built in the 18th century and isn’t actually round – it has sixteen sides! Those of you who love windows would fall for it, they are a delight. I hope this photo is legible, read a little of its history. And here is some of the exterior, click on any photo for a better view. I’ll be back sometime with some inside shots, the Parminter ladies had some bizarre design ideas and quirky collections. Meanwhile here is the outside of the house, just before the painting was finished. 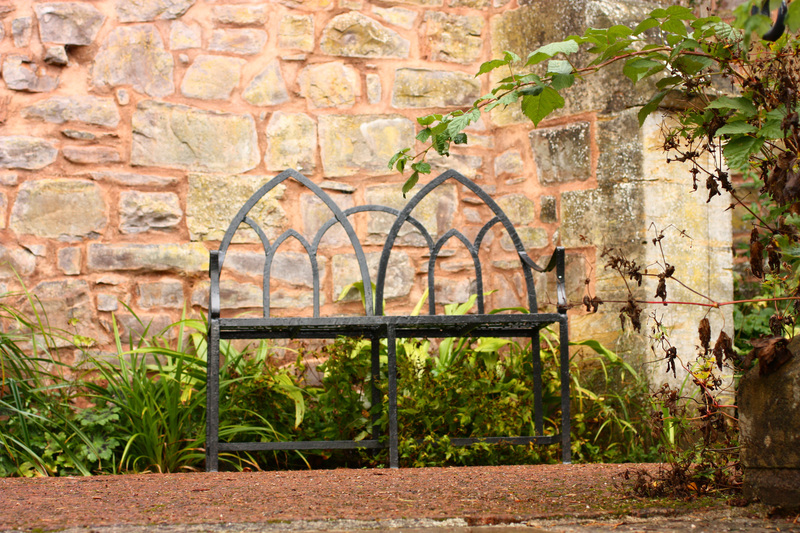 Buckland abbey was founded in 1278 by Cistercian monks on land overlooking the tranquil Tavy valley. The monks were responsible for building the great barn, an impressive building which would have been a treasure store of produce grown on the large estate given to them by the then Countess of Devon, Amicia. The abbey thrived for two hundred and fifty years until the dissolution of monasteries by Henry 8th and in 1541 the monarch sold Buckland to Sir Richard Grenville who converted it into a home, tearing much of it down, but unusually for the time the church was kept to become the main part of the house. Here is the great barn. It’s far bigger than it looks on the outside! Huge doors were built to allow carts to drive in at one and out at another so that goods and produce could be unloaded in shelter. Wooden vaulting, the exterior would have been thatch. I’ll be back tomorrow with some photos of the garden.